Hummingbirds are among the smallest birds of the air, but they have a big presence on the webcam above. Look at the monitor above. It’s a live feed from the nest of a wild female channel island hummingbird named Phoebe. Located in a rose bush, it’s no larger than a golf ball and is made from feathers, leaves and other plant parts. It’s all held together with spider webs. Eggs that Phoebe lays are the size of a breath mint (tic-tac). They hatch after about 17 days from when they are laid. The chicks will continue to grow in the nest for about three to four weeks before fledging. She has been laying four to five clutches each year for several years. Click here for more information about Phoebe's hatches, camera set-up and more. If you're lucky, you might just see Phoebe hover in and feed her baby chicks. What do you think about seeing these little creatures? Do you have a hummingbird story of your own? Share your thoughts about hummingbirds with other museum visitors by typing in comments below. I Think little birds make a big difference in the community. the amount of birds that can fit in one nest at a time is at least 2 adults and 3 babies. hummingbirds wings can flap at 90 times per minute. Their eaten by larger birds and spiders and love to eat nectar and praying mantis. hello my name is katya and I,m hear to tell you that birds are amazing flyers and that if you tried to see a humming birds wings you can,t because they move really fast and they drink nectar fron plants. A humming bird female tend to the chicks alone with help from males. i wonder how many humming birds can fit in 1 nest and how long they live for! if you know the awnser please reply. huming bird flap there 75 imes per second. What do humming birds eat? 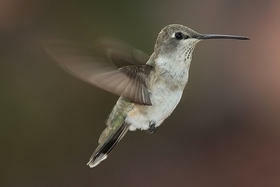 Hummingbirds eat seeds, sugar water, and juice!!! I think that birds are family to us too! LIKE TOTALLY! My aunts house has a lot of bird feeders there and one of the most come in birds is the hummingbird and it is the most interesting bird to look. If you ask me, the nest cam is the best idea ever. we have a family of birds that come and nest on our roof every year. we can see them from our bathroom window!! How long can a hummingbird live? she suffucating her chicks. or pooping on them? not quite sure. this has been going on for 10 minutes now....OH MY GOSH SHE LEFT. ill model myparenting after her. they are very small and they eat necture and bugs and they are very fast. humingbirds are cool little hyper birds. their heart rate must be very fast. maybe just a drone!!! So patient! How does she get food? Humming Birds are one of my favorite birds. Although they are small, they can be very vicious. They are the only type of birds who can dive diagonal!!!! one time i took care of a baby annas humming bird.His name was Shaggy.My mom had found him in our garden.We kept him for about a month. He had a broken wing.We constantly feed him humming bird food through a Capri Sun straw,about every 5 minutes.He was absolutley adorable.The local shelter wouldnt take him. what do male humingbirds look like?